Wormwood (Artemisia absinthum), absint herb, Green muse - Bitter leaves were important in absinthe, vermouth, and other liqueurs. The bitter component of wormwood is an alkaloid, absinthin, which is separate from the essential oil, thujone. Thujone is psychoactive and has a long history of use with artists, but like many essential oils, though less toxic than alcohol, it can be toxic in large quantities. Has great reputation for stimulating the appetite and improving digestion. One of the oldest known remedies for worms. Wormwood has both a psychoactive and restorative capacity. It has been utilized against ailment, gout and tapeworm. This is the place the English name originates from. Wormwood is the primary element of the amazing beverage absinthe, which was designed in 1792 by a French specialist. Planned as a pharmaceutical, it turned out to be exceptionally well known as a recreational drink. A great deal of craftsmen were influenced by absinthe in their work. To begin with, the drink was called 'the green pixie' or 'the green goddess'. Later the drink was known as 'the torment' or 'the ruler of toxic substances'. In 1915 the creation of absinthe was prohibited in light of the fact that it was blamed for driving individuals to frenzy. Be that as it may, notwithstanding when savoring it huge amounts (something we totally don't prescribe), one must make sure to end up noticeably to a great degree alcoholic. The main thing that can influence your wellbeing is the high level of liquor (up to 75%). Absinthe has as of late turned out to be legitimate again in every single European nation. Wormwood is a psychological stimulant. The impact of wormwood is opiate, daintily soporific, giving a tranquil and unwinding feeling. In blend with liquor or in bigger measurements visualizations may happen. Wormwood is reasonable for making tea, which has a beneficial outcome amid post-influenza or post-irresistible periods. In little dosages, wormwood is a cure against normal icy, ailment and tapeworm. It likewise expands the craving. A typical method to utilize wormwood is to make a tea of it. Absorb 1 teaspoon some hot (non-bubbling) water. The tea has a severe taste, which is difficult to maintain a strategic distance from. You can blend it with peppermint leaves or anise. To influence absinthe, to splash 40 grams (1½ oz.) of wormwood for two or three weeks in ½ liter of alcohol (for example Pernod). In the wake of filtering it, the drink is prepared for utilize. Attempt a little glass initially to ensure the measurements. Wormwood is noxious. Long and serious utilize can prompt dependence, corporal and psychical decay and it can prompt sentiments of apprehension, eagerness and spasms. High measurements can cause cerebral pains and tipsiness. Higher measurements are psycho-enacting and have a deadening impact. Inebriation impacts due to overdose are subjective stools, obviousness, unconsciousness and demise. Subsequent to influencing absinthe, to attempt one little glass at first and sit tight around a hour for the impact. Attempt it again at another open door. Better to measurements too little without any impacts than excessively, gambling harming yourself or influencing yourself to wiped out. Try not to drive mechanized vehicles affected by wormwood. 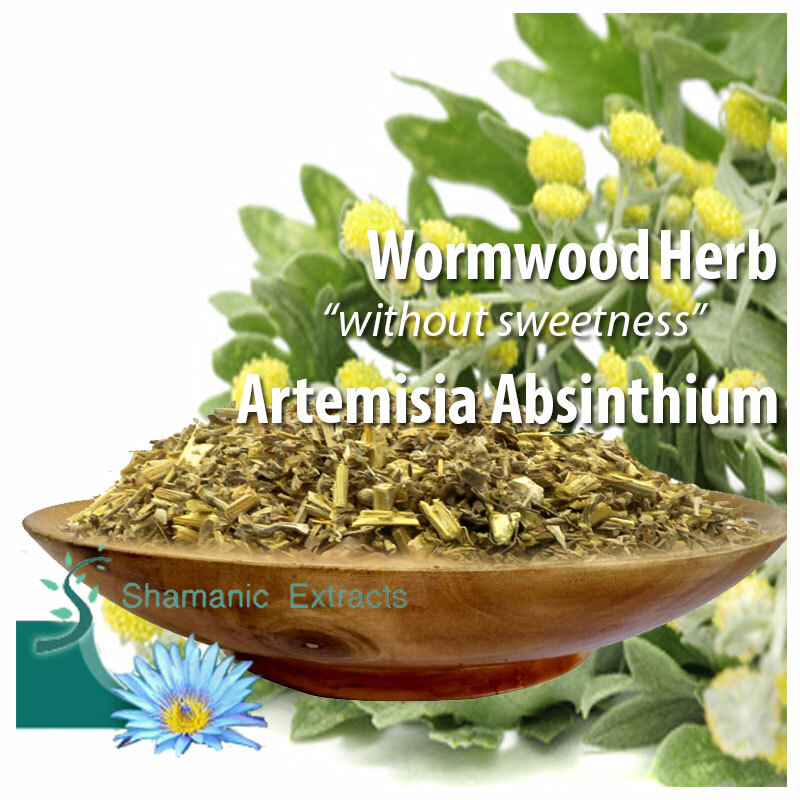 Share your experience about Wormwood (Artemisia absinthum) with other customers. Submit your tips or thought on this product, be detailed and specific.